We’re excited… we’re headed to Vegas. 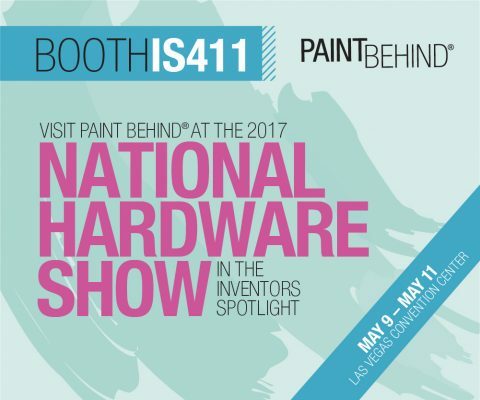 PaintBehind will be at the National Hardware Show in Las Vegas May 9th-11th. We’ll be posted up in the Inventor’s Spotlight Room – booth # IS411. If you, or your local mom and pop hardware shop will be in Vegas for the show, we’d love to meet! It’s such an exciting time to be among other new and innovative products and entrepreneurs. In other news, it’s with great delight we announce that PaintBehind is available in select Sherwin Williams’ stores across the country. 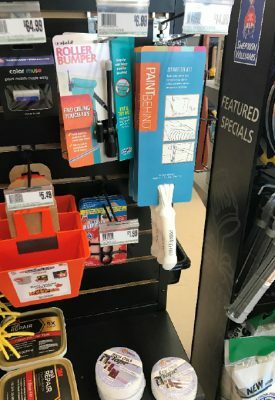 Stores in the Twin Cities of Minneapolis and St. Paul, Baltimore and surrounding areas, Southern Colorado surrounding Colorado Springs and Greensboro, North Carolina. Stop in and pick one up! Send us an email at customersupport@paintbehind.com for a complete list of Sherwin Williams’ stores carrying PaintBehind or to set up time to meet with us at the National Hardware Show in Vegas!